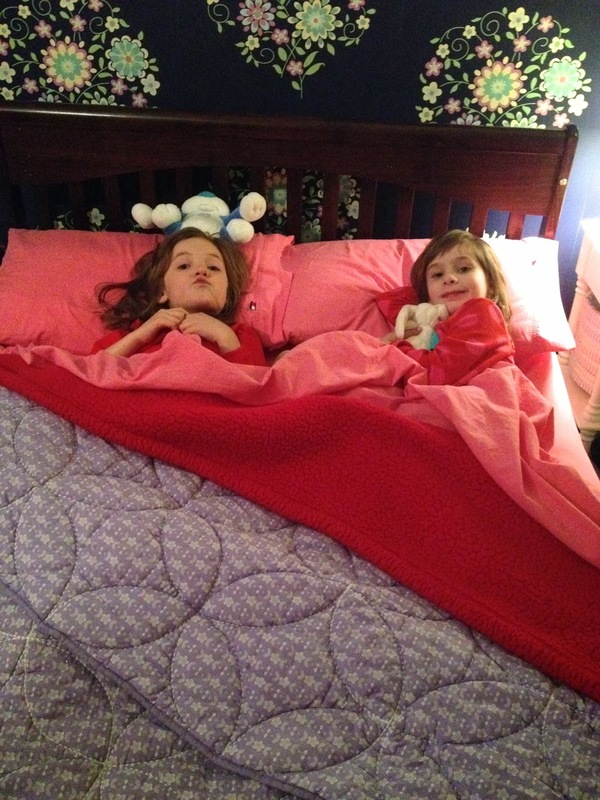 Since Josie & Lucia started school together as three year olds, they've been begging us to let them have a sleepover. The big night finally arrived! 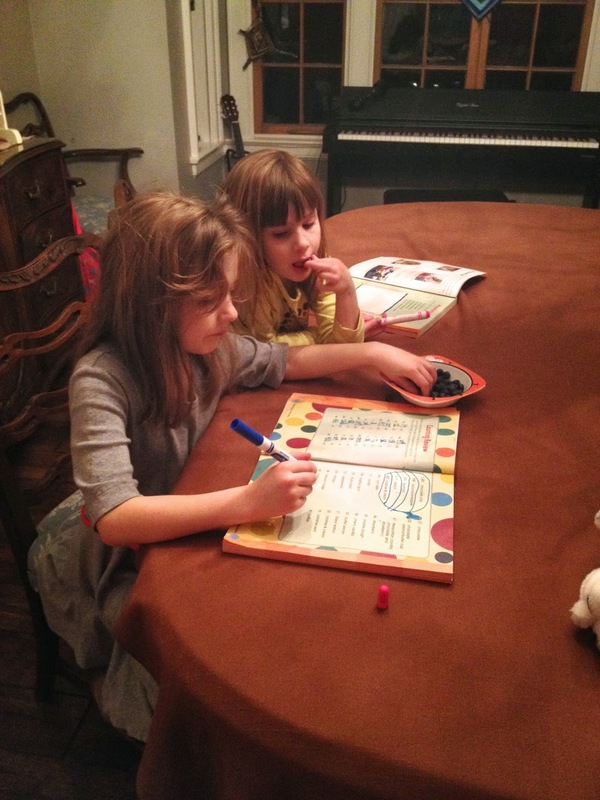 While there were a couple "will they make it moments" around bedtime, overall it was great! They did it! The sleeping part wasn't nearly as much fun as the rest of it, of course. 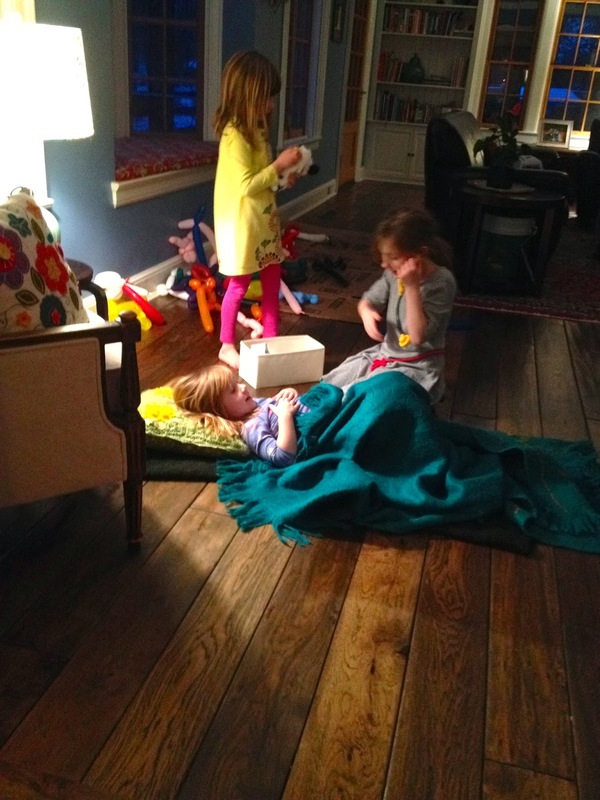 The girls have always played so well together and the sweetest thing about this sleepover was how much they included Beatrice - who happily played everything from "baby" to "patient." The very first time Lucia came over for a playdate as a three year old, they asked me if they could mop the floor (um, I said yes) and this time they wanted to do math workbooks. Hilarious. 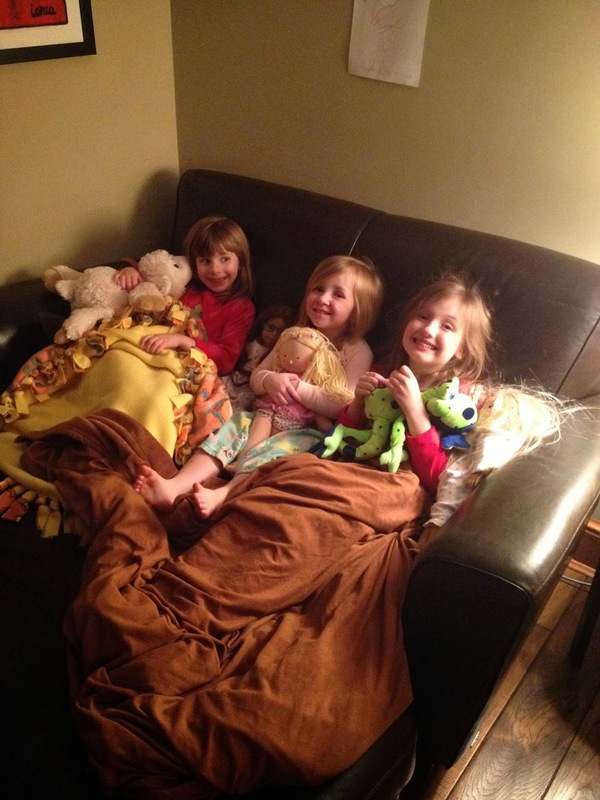 Just before bedtime, we surprised the girls with the Frozen movie. They were too cute all cuddled up on the couch. 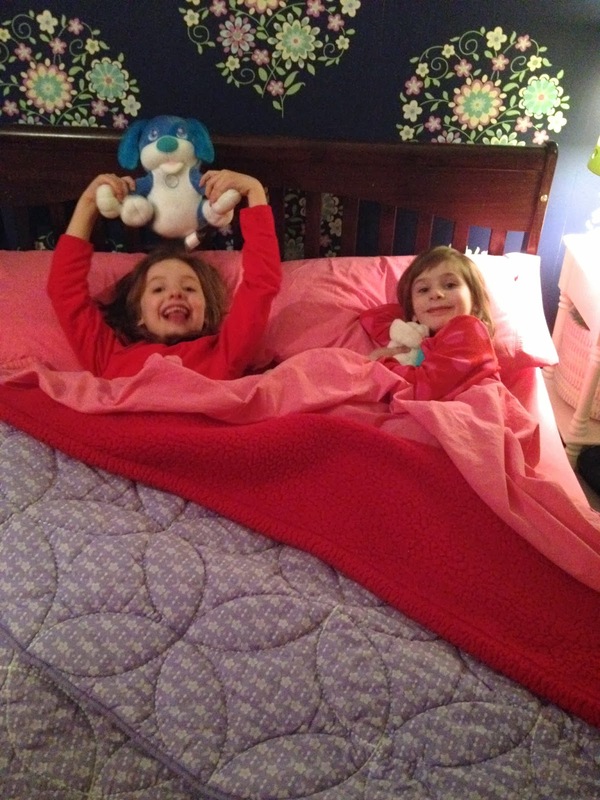 The girls were VERY excited to be in bed together! ...even if that excitement translated into a bedtime after 10pm! 10pm or not, they were up before sunrise at 6am and doing science experiments before breakfast. 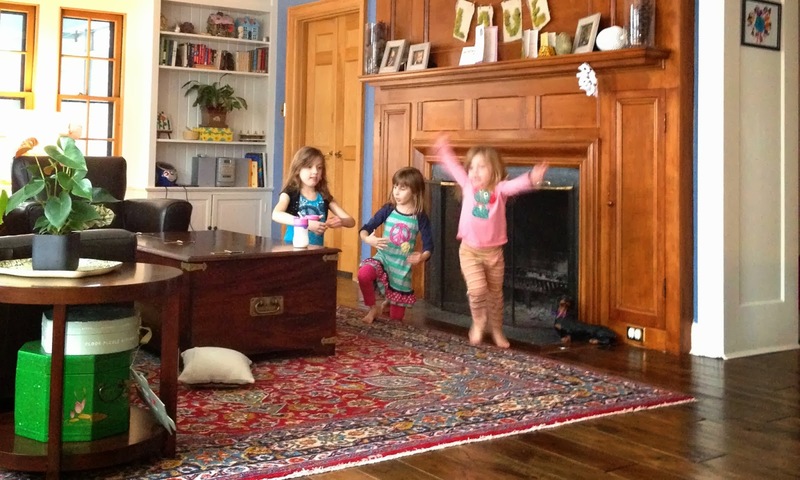 After big piles of pancakes from Louie, Josie & Lucia practiced their ballet recital routine and Beatrice convinced them to do a Frozen performance. 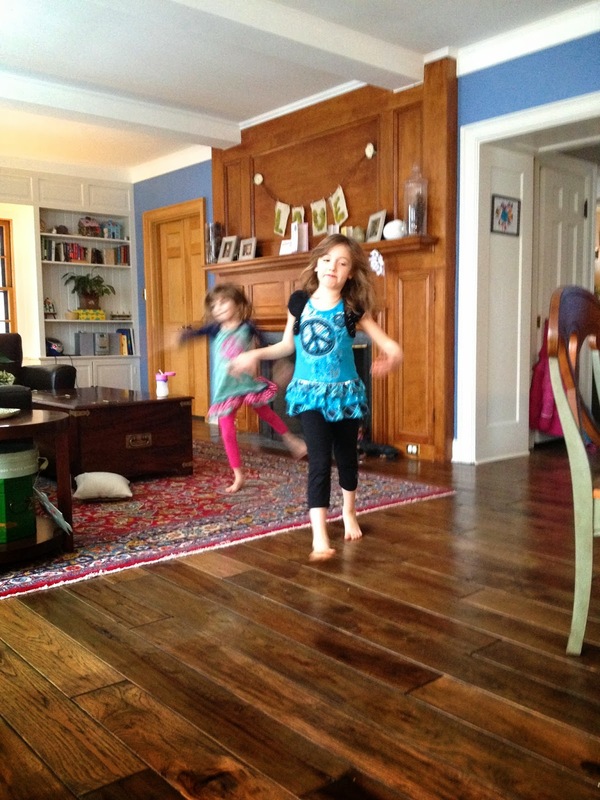 It's been so fun to watch these two girls grow up together. I think this was the first of what will probably be many more sleepovers!